In the study of the stars, one type continues to tantalize researchers with mere glimpses—the elusive quark star. While still considered hypothetical, quark stars may be evolving forms of neutron stars, the result of supernovas. Born with an explosion of purebred genetic power, D Angelo will be adding his twist to future generations as he sires new stars for the Al Jood Stud array. With chiseled heads, elegant necks, and extreme type transferred to his first foals, D Angelo is proving himself to be a worthy successor to his exceptional sire, JJ Bellagio. 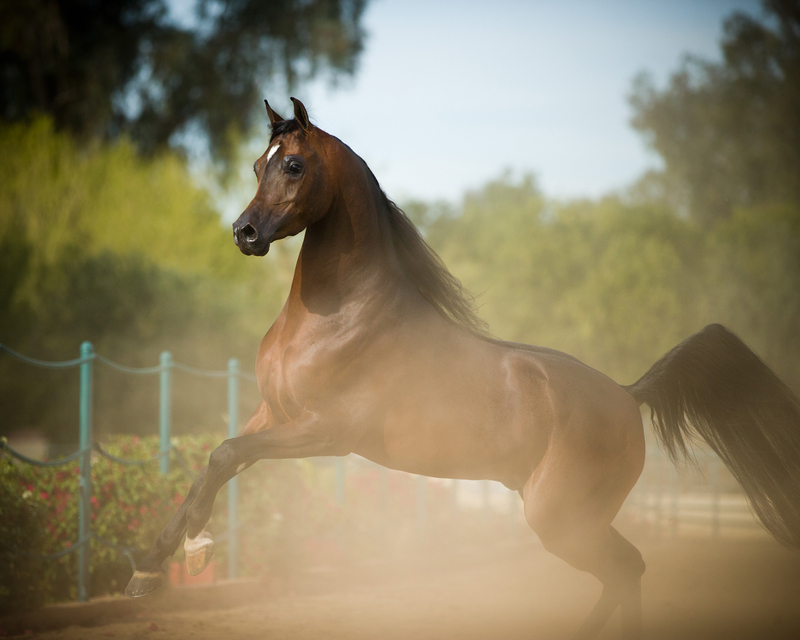 One of Magnum Psyche’s most exotic sons, JJ Bellagio has proven himself to be a world caliber stallion. D Angelo is an example of what may be a golden cross for Bellagio…being out of Dark Angel GA, a daughter of Da Vinci FM. 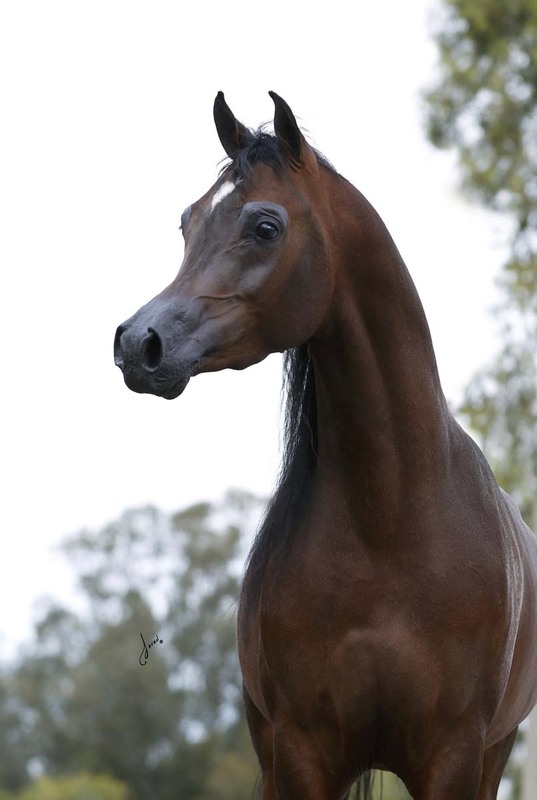 At the 2016 United States National Championships, while D Angelo was adding to his 2015 Top Ten Yearling and 2016 Top Ten Two-Year Old awards by being named Top Ten Junior Stallion, his three-quarter sister Exquisite GA—from the Da Vinci daughter Cinderella—was named the U.S. National Reserve Champion Yearling Filly. Dark Angel GA is out of one of Al Jood’s most prolific mares, OFW Dark Geena. 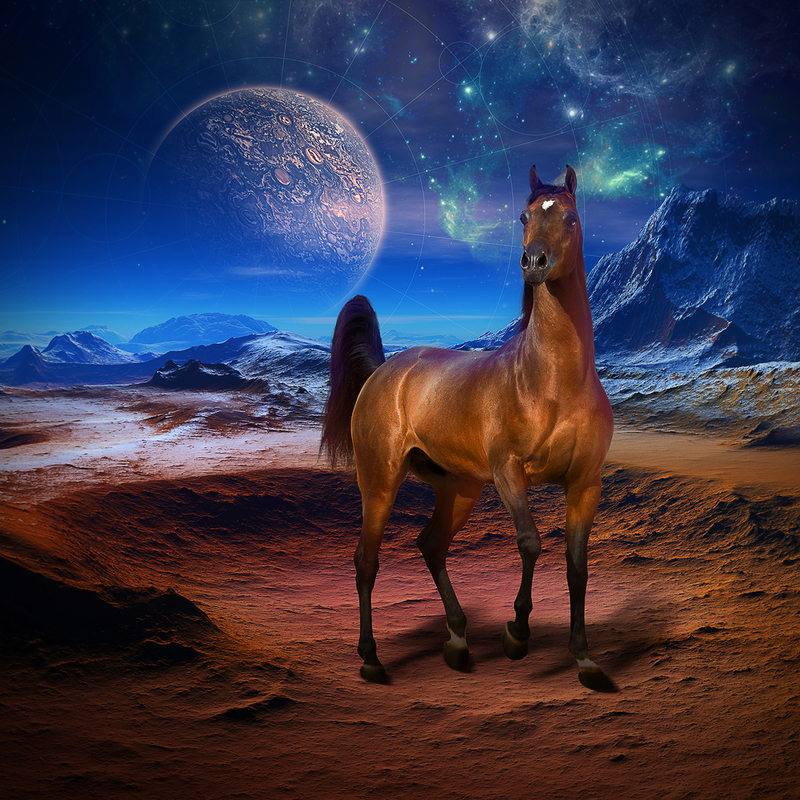 Dark Geena is by the amazing RSD Dark Victory…one of the breed’s most noted sires of exceptional broodmares. 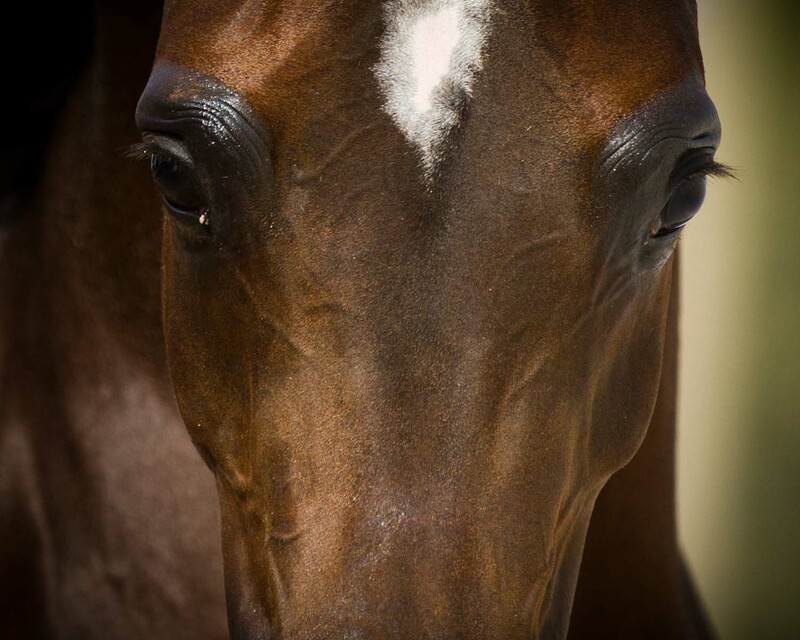 A son of Bey Shah, Dark Victory was out of Kamasi Sabaha, one of the legendary, American-bred Khemosabi’s most elegant daughters—the perfect balance to the substance and motion of Bey Shah. It is a potent combination. 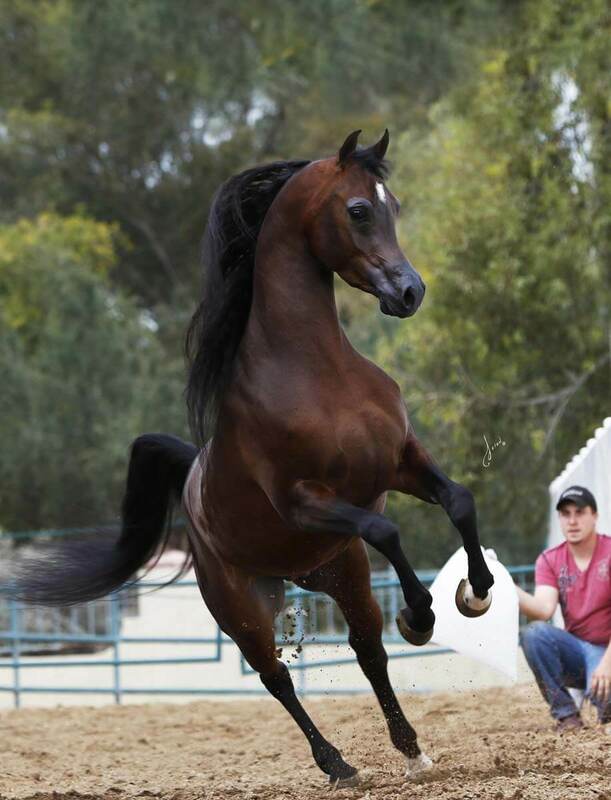 The smooth bodies, refinement, authentic Arabian type, and exceptional motion evident throughout the maternal side of D Angelo’s pedigree are reflected in his own sculptured form. 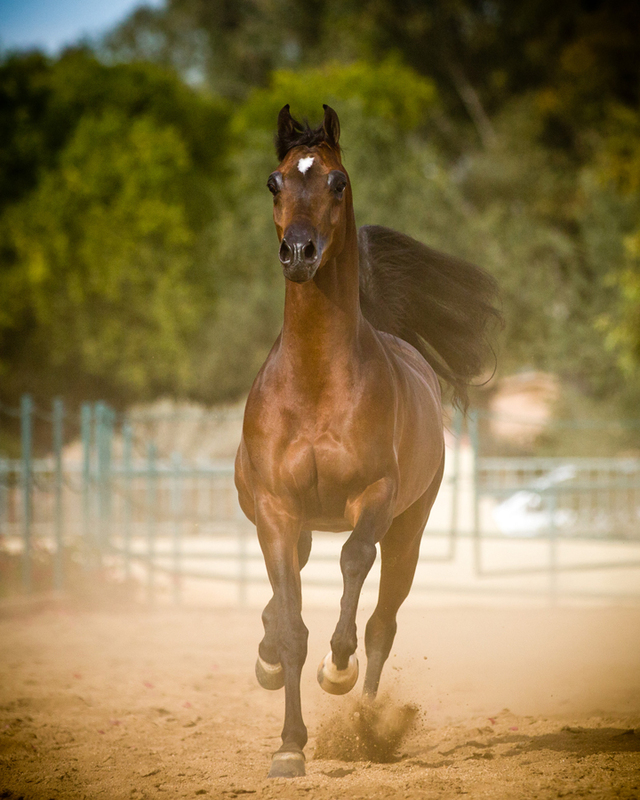 Bred by Gemini Acres in the USA, he was selected by Al Jood owner Mohamed Jaidah because of his topline, head, and neck as an ideal cross for the farm’s Malik El Jamaal daughters. As the mysteries of science continue to be revealed through close, persistent examination, so too is D Angelo coming to be seen as the superstar that he was born to be. D Angelo is standing in Spain at Tolrá Training Center, where he is being prepared for competition in Europe and beyond by Bernat Tolrá and his staff. With his unlimited potential in both the show ring and the breeding shed, D Angelo is attracting interest from some of the world’s most renowned horsemen and is breeding some of their finest mares. 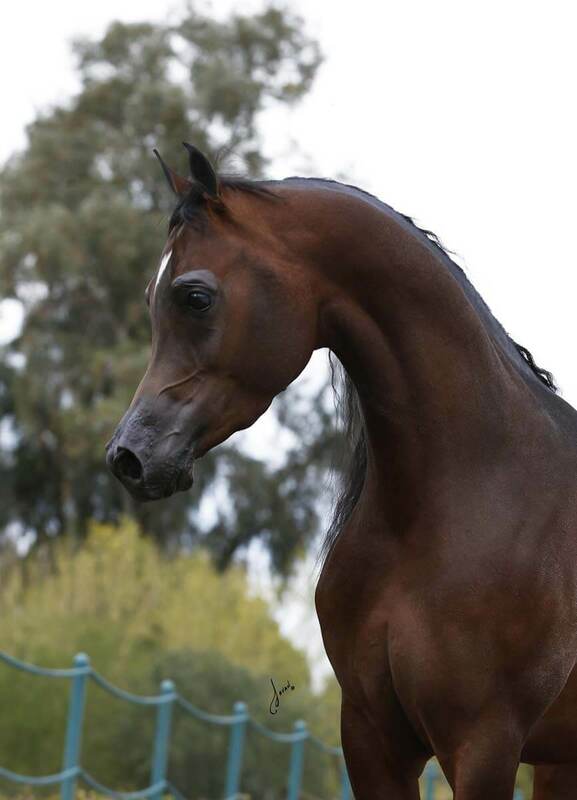 His daughter, Delfinaa, is out of Belgian National Champion Mare, Claudiaa, who also won the Most Beautiful Head award at the Arabian Horse World Championships in Paris. While blessed with the beauty and heart of a champion, it is D Angelo’s genetic ability to maintain a strong structure while nurturing increased refinement that sets him apart as a sire. D Angelo is another ingredient in the recipe that comprises the Al Jood breeding program, another point of light in a complex constellation. He reflects the past and is a hope for the future. 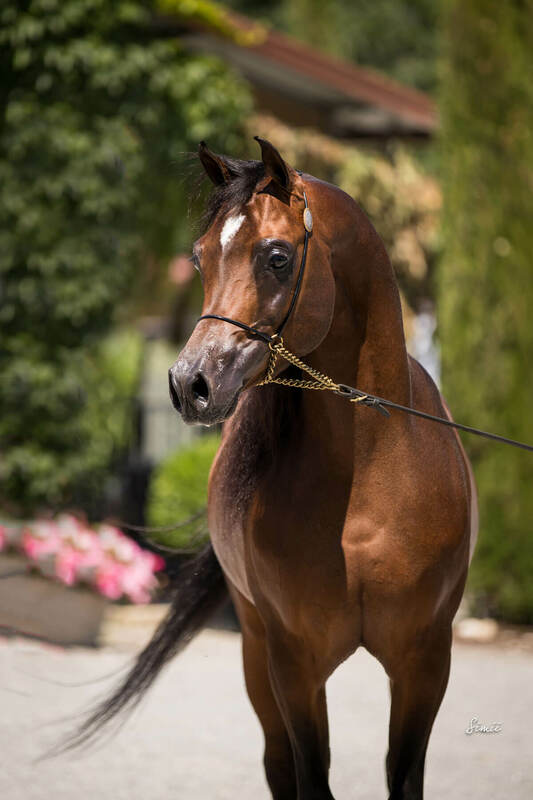 He is a key to the dreamed about outcome of the ideal Arabian horse, a step forward in the creation of the ideal and a shooting star for Al Jood Stud.